What are immediate restorations to replace missing teeth? Some of the most interesting and exciting aspects of life are surprises and spontaneity, but when your next surprise in life is a cracked, chipped, knocked out, or loose tooth, dependability and swift, efficient action takes precedence. 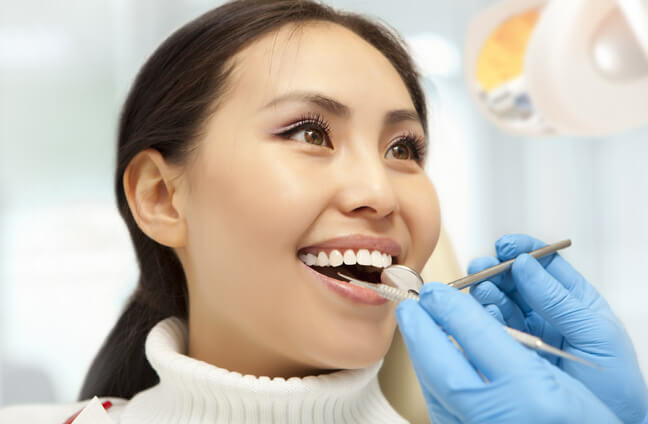 At Staten Island Oral Surgery, our oral surgeons provide immediate restorations in New York City for patients who need their missing or knocked out teeth replaced with a permanent dental implant without the wait between surgeries that traditional dental implants require. Immediate dental restorations can allow you to leave our office with a full smile the same day. Temporary crowns, the tooth-like caps used when replacing teeth, are placed on immediate dental implants so that patients can enjoy a fuller smile immediately. Immediate dental implants are long-lasting, sturdy, and are designed to match the shape, size, and coloring of your natural teeth. Traditional dental implants often require two or more dental procedures to fully restore missing teeth. Immediate dental restorations are designed to make receiving dental implants simpler and more efficient. How can immediate restorations help me to replace missing teeth? Patients who choose traditional dental implants commonly need bone grafting, bone morphogenetic protein, or a sinus lift in order to give their jaw a higher bone density capable of supporting dental implants. Patients who already have adequate bone density able to support dental implants, however, can circumvent bone grafts, bone morphogenetic protein, or a sinus lift and simply receive immediate restorations in NYC. Bone grafting, bone morphogenetic protein, or a sinus lift are separate procedures from dental implants that need approximately four to nine months healing time before the implants themselves can even be inserted. At Staten Island Oral Surgery, our dental surgeons can perform immediate implants and restorations for patients with adequate bone density. Immediate restoration in NY only entails one procedure in one day. The advanced technology of immediate restorations in NYC allows the implant post to support the implant immediately. Our oral surgeons are trained in the most advanced techniques and technology for immediate restorations, making your dental implant experience less invasive and providing you with faster and better results. What can I expect from immediate restorations to replace missing teeth? Our oral surgeons can perform immediate restorations in NY at Staten Island Oral Surgery in one appointment. CT scans of your jaw can be used to determine how your dental implants will be positioned before immediate restorations even begin. No recovery time is required after immediate restorations in NY because your dental implant is designed to be placed into the surgical site prepared. Some patients are even able to eat after having this procedure. Unlike traditional dental implants, immediate restorations are designed to be a faster and easier procedure, so you spend less time in the dentist’s chair and more time enjoying the daily joys of life, like eating and smiling with a full set of beautiful teeth. Our dental surgeons will discuss the options available for dental implants and whether your jaw has enough bone density to support the most convenient dental implant option available, immediate restorations in New York. How can I find out more about immediate restorations to replace missing teeth? For more information on immediate restorations surgery to replace missing teeth, please contact Staten Island Oral & Maxillofacial Surgery to schedule an appointment with oral and maxillofacial surgeons David Hoffman, D.D.S., F.A.C.S., Lydia J. Lam, D.D.S., Steve Yusupov, D.D.S., M.D., and Mark Stein, D.D.S., M.D. at 718.226.1251.